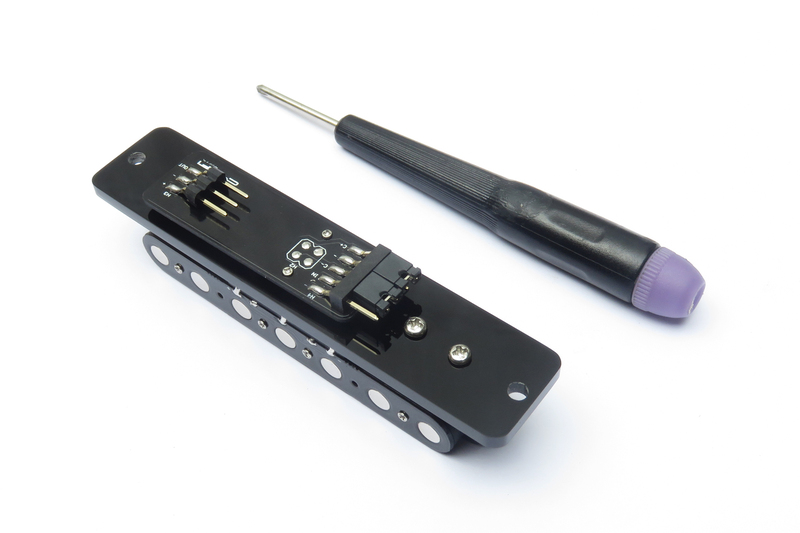 This simple guide shows how to change the baseplate of the XR Pickups in 8 steps. 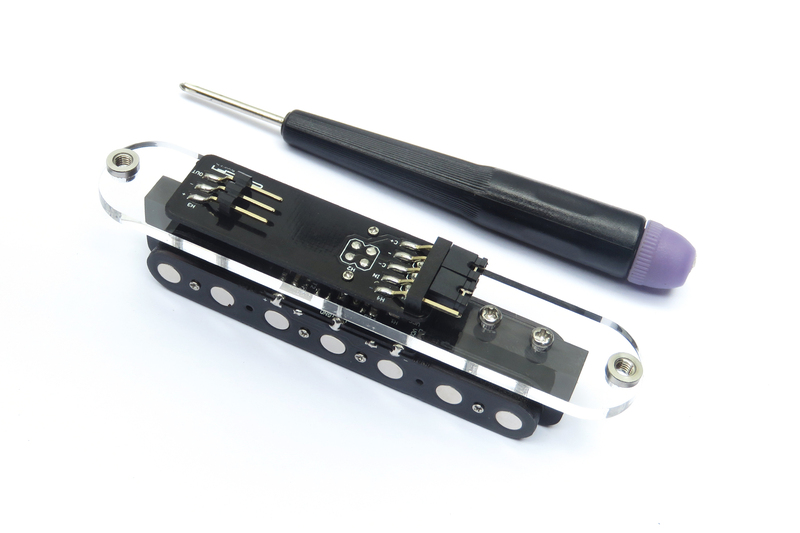 In this example, we will replace the XR’s Strat style baseplate with the black half-width Soapbar style baseplate. This guide applies to both XR Duals and Quads. TIP: Laser-cut your own baseplate design. You can find CAD files for the XR baseplates from our Github repository. Use those as a basis for new designs. 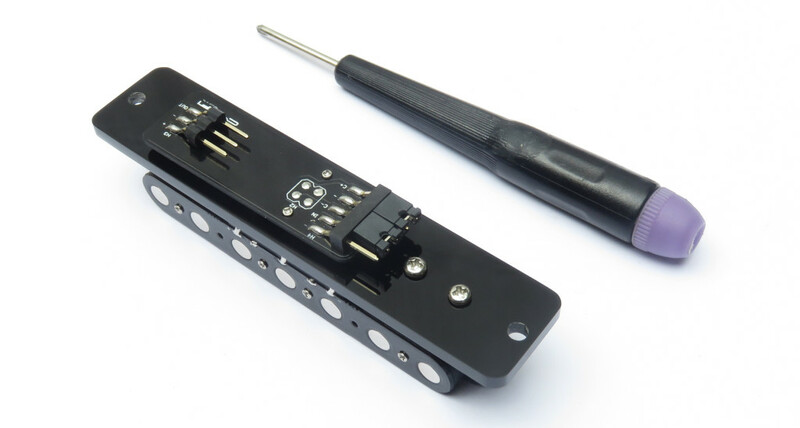 You will need a precision screwdriver to disassemble and reassemble the XR baseplate. Unscrew the adaptor’s M1x4mm screws. Detach the adaptor PCB from the main board. Unscrew the baseplate’s M2x6mm screws. Remove the clear Strat style baseplate. Take note of the small double-sided tape added for stability. 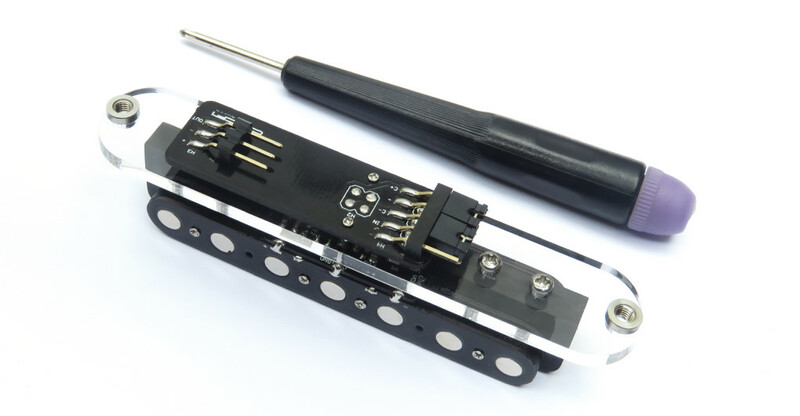 Place the half-width Soapbar baseplate. Screw the new baseplate in place using the M2x6mm screws. Mate the adaptor PCB to the main board. IMPORTANT: do not over-tighten the screws. Screw the adaptor PCB using M1x4mm screws. IMPORTANT: do not over-tighten the screws. Cut a small piece of double-sided tape and position it as shown for additional stability.